Our Services | Hospice of Morrow County, Inc. 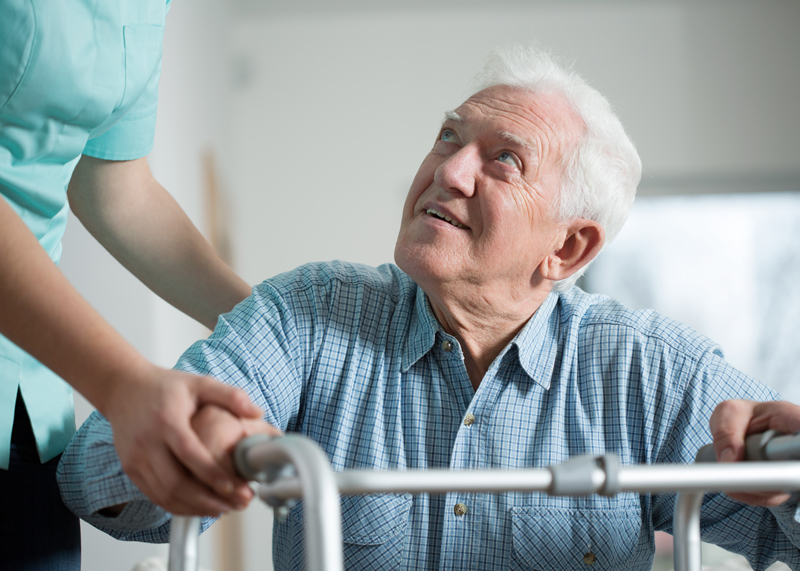 In addition to hospice care, we are proud to offer the following services. Losing someone close has never been and will never be an easy part of life. The death of a loved one is transformational. Everything seems to change in a person’s life when someone who is beloved dies. But grief is a natural and necessary part of the process. Every grief experience is unique with no timeline. Grieving often begins before a loved one dies and continues afterward for months or even for years. Our staff knows this and are skilled and compassionate as they accompany family members on their grief journey after a loss. We recognize the importance of a strong support system and have tailored our bereavement services to meet the needs of everyone we assist. Our chaplain also coordinates the various bereavement services that we offer to families of deceased patients and the community in general, including support groups, counseling, seasonal memorial services, grief events for children, and other special events. Letters are mailed to bereaved families at specific months during the 13 month period. These letters acknowledge the grief the family may be feeling and offer support during their grief. Bereaved families are phoned by an assigned volunteer or hospice staff member on a regular basis to inquire how the family is doing and remind them of various services and special events that hospice offers. The caller also asks if a visit from the bereavement coordinator / chaplain would be welcome. These cuddly bears are made by hospice volunteers out of a piece of clothing from the deceased loved one. One bear is provided free of charge to each bereaved family; additional bears can be purchased for a small charge. This service is held each spring to honor our patients who have died in the previous 13 months. There is a short ceremony, and live butterflies are released by those in attendance in memory of their loved ones. Due to space limitations at the hospice office, this annual holiday memorial event is limited to the families of hospice patients who have died in the previous 13 months. Holiday grief is addressed. In some ways, Hospice of Morrow County serves as a community resource for bereavement services and grief support. All of our grief support services are offered free of charge (unless noted), regardless of whether or not the deceased person was a patient of hospice. This is a monthly support group at a local restaurant. It is informal, and bereaved family members attend because they can relax and enjoy the time the group spends together. They often feel reassured that someone is available to talk to them about their loss. These are typically multi-week sessions offered at least once a year, facilitated by our bereavement coordinator and social workers. These sessions focus on the grieving process and ways to cope with all aspects of grief. These workshops are generally held several times a year for children ages 6-12 who have experienced grief or loss. This service is open to the community as well as to our bereaved families. Bricks make up the border around our Memorial Garden located in front of the hospice office. Memorial bricks can be purchased and engraved with up to 3 lines of text in remembrance of any loved one. Order forms can be found online or are available from the office. A Memorial Brick Laying Service is held each spring to allow families to personally place their bricks in the garden border. The goal of our hospice volunteer services is to enhance the well-being of patients and families and help meet their unique needs at a special and potentially difficult time. We have adopted a Code of Ethics for the Hospice Volunteer to ensure that standards applied in hospice volunteer work meet principles of commitment and reliable ethical judgement. Over the years, hundreds of men, women, and older teens have taken our volunteer training and served as compassionate, caring volunteers. A social worker coordinates hospice volunteer services to provide families and caregivers any extra assistance or respite they may need. Volunteers provide patient support which may include companionship, reminiscences, listening to music, reading and watching TV. They also can assist patients with phone calls, letter writing, and creating memoirs. They support caregivers by providing them down time (respite) and help with household and gardening chores. They visit as often or as little as you need and at your request. Massage therapy to help increase blood flow, relieve pain, and reduce stress. Hospice of Morrow County, Inc. is part of We Honor Veterans, a national project initiated in 2001 as part of the Hospice Veterans Partnership by the National Hospice and Palliative Care Organization (NHPCO) and the U.S. Department of Veterans Affairs. We also work closely with the Morrow County Veterans Services Office; Veterans Administration offices in Columbus, Mansfield, Cleveland, and Dayton; and local chapters of the Veterans of Foreign Wars (VFW) and American Legion to identify veterans under hospice care and honor their service. Thanking and honoring our veterans with a special pin and a certificate during a ceremony is rewarding for us and the honored vet alike. Over 450 veterans in Morrow County have been “pinned” and thanked by our hospice for their service. There are over 3,000 Veterans in our area, and they each deserve special thanks for serving and protecting our country. Sometimes a pinning will take place at a hospice patient’s bedside with family gathered around. Other times vets may be pinned at an event hosted by our hospice. Through the We Honor Veterans program, our nurses and other staff members understand the unique needs of our nation’s veterans and remain vigilant of factors which could trigger fear, anxiety, and/or painful memories. We strive for comfort when our veterans may be facing the end of their lives. For more information about the We Honor Veterans partnership, please visit http://www.wehonorveterans.org.